30+ Popular Mobile Website Templates – Get a Mobile Friendly Website Today! Do You Like The Popular Mobile Website Templates? – NOW it’s your turn – please leave a comment! The trend is clear. Mobile website templates and responsive WordPress themes are in demand nowadays. Everybody is going mobile, and a decent website needs to support this trend. So, in this article, you will find popular mobile website templates and responsive WordPress themes showcased to help you with your search. This has been brought about by the intense popularity of iPads and iPhones and the enormous amount of awful smart-phones. To be prepared for this euphoria, more and more business owners now develop mobile versions of their websites. The reason is obvious, they want to penetrate the enormous potential of millions of mobile internet users. For web designers and developers, this mobile frenzy is opening a door towards another opportunity. They design and develop impressive pre-designed website templates for mobile that you can install without having to code anything. You can also use responsive WordPress themes to make your website mobile friendly. The best choice depends on your needs. A mobile theme will give complete control of the mobile experience without impacting the main site design and usability. On the other hand, a responsive theme will often give a better correlation between your traditional website and mobile presentations. You should also check some of the highly useful plugins for WordPress sites. You can find some very useful mobile website templates in this post and some nice WordPress themes with responsive design and layout builder, but if we have missed some goodies, we encourage you to post a link in the comment below. If you like this article, please share it to your friends, as well. First take a look at these awesome mobile website templates and then move on to the collection of popular responsive WordPress themes underneath. This web template has been created in a way that will let you have every element styled up. All you need to do is call them up to your page. This is a theme that features modern navigation, swipe function, Google fonts, responsive slider and working contact form. Documentation is included in the package. This mobile portfolio template can adapt to all mobile devices. It has no fixed sizes for particular devices and runs on any orientation and screen size. erikey has useful features that include working contact form, custom CSS framework, valid HTML/CSS, 12 page templates, 6 color schemes and liquid structure. It is HiDPI ready. Hunter is a mobile template in HTML5/CSS3 and retina ready. Its features include page preloader with fader, custom jQuery code, and Ajax/PHP contact form complete with validation. This theme is WebApp ready and optimized for all screen sizes. Mobiler is a responsive theme created for mobiles and tablets. Among its features are page preloader with fader, custom jQuery code and Touch Swipe image slider. This mobile template has been carefully coded and HTML5/CSS3 validated. The various sections of every page are clearly commented, which alone will reduce the setup time incredibly. This theme will let you work your imagination to the limit. Its design is cool and it will allow you to create metro styles in your own style. It shares the same features with the HTML version of the template. This website template has been created perfectly for developing your business site. This mobile template is adaptable, clean and crisp. It is stunningly responsive and created with HTML5/CSS3. The theme has been incorporated with different types of options and pages to provide the edge you need. Woody has been optimized for mobile devices. It is based on jQuery mobile framework and features Google web fonts, PhotoSwipe gallery, Google maps and jQuery cycle slider. This HTML5/CSS3 template comes full of useful features. It has been created to be perfect for mobiles. Esepina comes preloaded, very well optimized and with swipe features. This is amobile business template that was coded in HTML5. It has a clean structure and code that could be customized easily to suit your business requirements. Storefront Mobile is a HTML5/CSS3 mobile shopping cart template. With this theme, your clients will have a convenient way of purchasing products on the go. You can also integrate it easily into an ecommerce platform. This mobile business template has been coded in HTML5 and CSS3. It provides an easy way for visitors and clients to collect data about your products and business on the go. This is a hot restaurant theme that is coded in HTML5/CSS3. The package includes 8 HTML/CSS jQuery templates to fill up all your requirements. This is a mobile website template that you can download for free. It is very useful for launching websites that require a simple design on mobile sites. The theme is easy to use with clean and nice design. This is a mobile theme for WordPress designed for all kinds of mobile devices, particularly the iPhone. You can use it like a traditional theme or parallel to another theme and presented only to mobile users. This mobile template is pretty simple but has high quality design that works with practically all types of expensive mobile devices. This responsive WordPress theme was created with HTML5/CSS3 and easy to customize. It is based on the Twitter Bootstrap and can be downloaded for free. 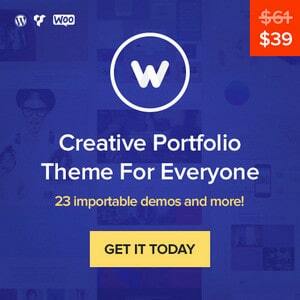 This stunning theme for WordPress can be used for selling, showcasing and promoting yourself. It was created for people who are not web developers and designers and you can customize it in a breeze to your particular needs. 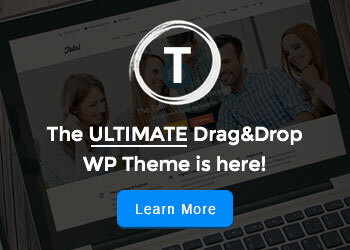 This is a professional theme that is so easy to use and comes with tons of useful features. This WordPress theme is very clean, simple and minimalist in design. Its focus is on easy setup and readability. If you are searching for the perfect theme for a personal blog, this is it. This theme is ideal for bistros, clubs, hotels, restaurants, breweries, food-trucks and any business related to food. It was created on the unique Croma events and restaurants framework. This theme is reusable, unique and with a one page design. It has a fully responsive layout created with Bootstrap framework 2.3.2. This theme is a sure way of increasing the quality and number of your conversions as well as positive reviews. It will also make quite a nice surprise to your clients. This beautiful theme was created for service providers that like to showcase products that are equally stunning. Its stunning animated content was created for scrolling and the homepages provide a chance to engage users and tell them your story with sliders, galleries, team member bios and testimonials. This theme is inspired by Pinterest. Its features include the trademark grid layout with long list of posts and multiple post sizes. UltraSeven is a fully responsive theme that was created using the Foundation framework. 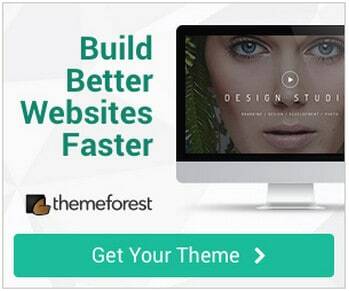 This premium WordPress theme has a responsive design. It was created particularly for portfolio and corporate websites and features a minimal and very clean design. This ecommerce theme for WordPress is responsive and uses the potent WooCommerce plugins in creating a versatile shop with multiple layout options and infinite color variations. Hi there! Quick question that’s entirely off topic. Do you know how to make your site mobile friendly? My web site looks weird when viewing from my iphone 4. I’m trying to find a template or plugin that might be able to resolve this problem. there is another new template site, that appeared recently,with bunch of professional templates, actions, etc free for download, also hundreds of video tutorials. It’s a portfolio of a guy who is #5 top seller on Graphicriver. Worth checking out. All Websites mobile designs are awesome. As it’s became essencial to hava a mobile website, everyone should not have mobile design for his/her website. Great mobile web site themes.Thank you.. Very helpful information. On our youtube video channel seeing more and more share of mobile device delivery so beefing up on developing a mobile responsive navigation site. This post helps be start with the basics! Thank you! Some useful ideas here. Shame… most clients just go for a responsive website. Enthralling Information, Thanks for sharing. Well all that has to happen now is to actually have more business get serious about actually having a mobile site. I’m still surprised how many local businesses are just losing loads of customers because they can’t be found by mobile users. Nice collection. Nice mobile tehemes. I like this templates….. I am going to choose for my website..
Just a contribution to the Mobile Templates Showcase. Great compilation. A useful piece. Now you need to teach people how to setup a mobile site with an existing full page site. Do you think these mobile templates have much hold nowadays. Seems like responsive design is the way to go now. Hello there! I simply would like to give you a big thumbs up for your great info you have here on this post. I’ll be coming back to your website for more soon. When I initially commented I appear to have clicked on the -Notify me when new comments are added- checkbox and from now on each time a comment is added I get four emails with the exact same comment. There has to be an easy method you can remove me from that service? Cheers! my client websites mobile version . this is more than a template, it’s a system – pretty and slick/smooth; great marketing website. If it is ‘free’ as declared here then I would love to use it for my new “no-income-for-the-foreseeable-future” website. However, I may be missing something but I don’t see how paying monthly plan fees to enable the product is “free”. I’ve spend quite a while looking at a number of these mobile templates. The problem with most of them is that they don’t allow for deep navigation of a complex existing site. The best mobile website template I have seen was in the examples section of http://www.iphoneaccordionmenu.com. The menu component allows for a lot of drill – down. Haven’t quite had time to play around with it properly. I also suggest you to visit mobilebat.com, you will find a list of mobile website templates and a mobile wordpress plugin!